Press Cloud has just released a potentially controversial article outlining new, more effective methods of marketing companies online. 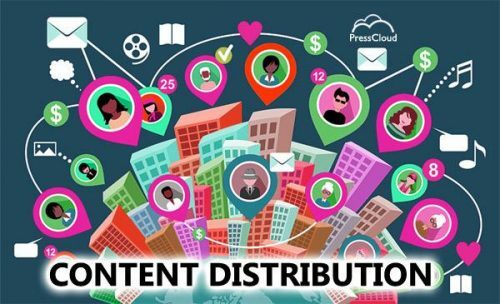 Their article, “THE IMPORTANCE OF HAVING A CONTENT DISTRIBUTION STRATEGY”, reveals industry-topping secrets that may upset major corporations holding media coverage monopolies in their fields by sheer force of capital. While bigwig corporations with deep pockets will monopolize the scarce and expensive ad campaign slots reserved for their industry, it seems impossible for an underdog business to compete. The truth is that there are other channels online through which to distribute one’s unique information. These same channels are not only alternate to the typical ad campaign distribution methods but they can, in fact, be far more effective, affordable and sustained in the long run. Even though Press Cloud has been a provider of content distribution for only 2 months, most of the media networks they’re aligned with have been well established for decades. If the information in the aforementioned article is true then any company providing such a service will have a game changing and disruptive technology to offer. As of yet, Press Cloud’s article has not received any backlash from leading marketing companies who still rely on the high-priced marketing strategies of yesteryear. An antagonistic response from these upper echelons of marketing does, however, seem unavoidable as Press Cloud claims a fundamental loop hole exists in the whole system. This loop hole would mean that even small local businesses with tiny budgets could easily gain access to media distribution channels to create an awareness of their brands. Press Cloud states that the future aims of their website are to provide small local business owners with vital information on how to attract more customers in a competitive market place. Finally, Press Cloud hopes that any controversy regarding their article will pass quickly. They emphasize that any perceived offense within the industry would be unintentional on their part and that they only wish to extend fair and equal opportunities to all businesses committed to expanding.